I’m starting an email group to discuss the ideas of Agile Work. 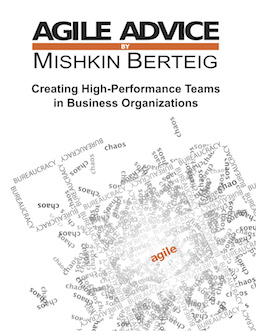 I think that there are enough differences in practice, emphasis and theory from the other agile methods, that it is probably reasonable to start some more discussion about Agile Work as a separate thing. In particular, I am interested in promoting the application of these ideas far beyond the bounds of just software development. How does this method apply to families? Communities? Organizations? Artistic and creative work? Research? Experimentation? Rote work? Where is it being practiced? What problems do people have applying it? What theoretical considerations are you puzzling over? Do you think its a load of crap or the answer to all our problems? Please join this group so that this can become a discussion instead of just a platform for me to write at you. Agile Work is for people, not robots.